The British Lop Pig is a descendent of the lop-eared white pigs that lived in the southwest English farmyards for centuries. The breed society was formed in 1920 under the name of the National Long White Lop- Eared Pig Society. The name was changed to the British Lop Pig Society in the 1960s. 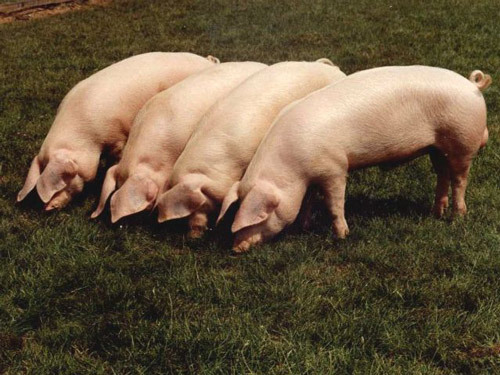 As with most of the other rare breeds the decision in the 1950s to concentrate pig production on just three breeds (Landrace, Large White, and the Welsh) was disastrous for the British Lop. Numbers dropped and coupled with the breed’s relative confinement to the south west. The Lop became very rare and still is today, but there are now herds throughout the UK.